Over the past month and a half at Bedford Road Baptist Church, we have been exploring Paul’s letter to the churches at Philippi. We just finished up chapter two, and I have to tell you that while I’m not sure if the congregation feels the same way, I have been really challenged by this book. This series is what we like to call a “Journal Series.” Rather than writing out a broad outline of the series and planning out the general topics and messages, I take the congregation with me on my personal journey of study. What I am learning during the week in my private study of the Word is what they hear on Sunday morning. There is really no plan or agenda, just the message of God’s Word – filtered through an inadequate vessel of flesh and blood. I will key in on one major theme from the passage and share what insight God gives. As I have noted before, I prefer to think of the messages as homilies – journeying alongside the Scriptures – rather than as sermons – calls to action. We will probably finish up sometime in July, but these series go on for as long as they need to. 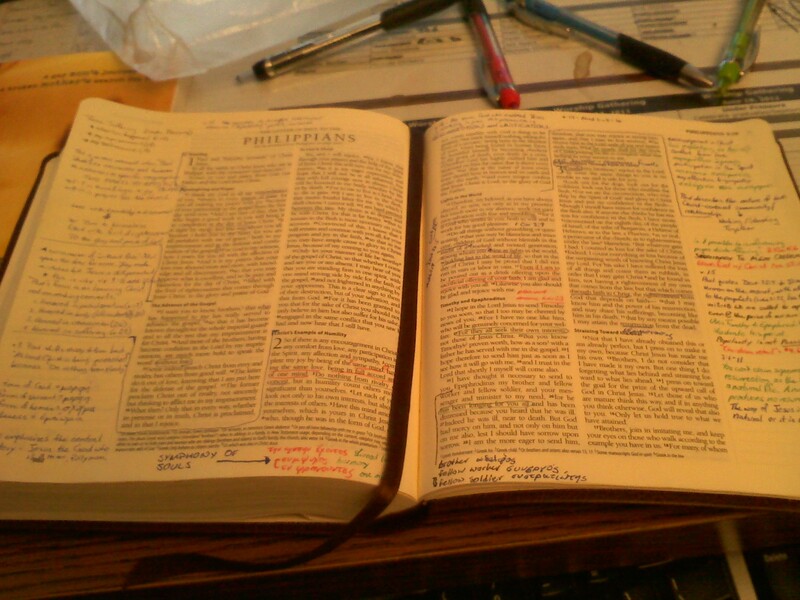 Going through a book this way is one of my favorite ways to present the Word of God. If you’re interested, you can subscribe to our podcast by going to iTunes and searching for “Bedford Road Baptist Church.” We’re the only one in there.